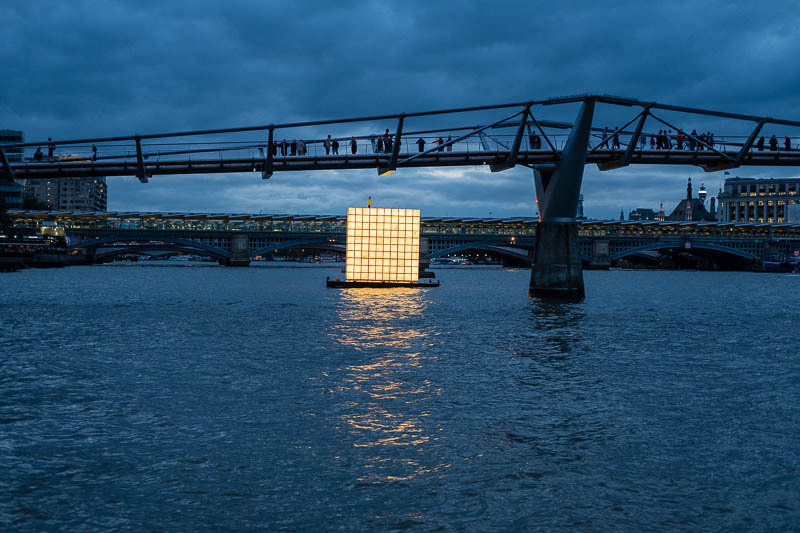 "Floating Dreams" by artist Ik-Joong Kang moored in the Thames in front of the Tate Modern Gallery. There is lots of wonderful detail in this piece. Look out for the back pack when you wander by. It looks as though the people on the bridge have been posed to become part of the photo. Delightful. Tsk! Good picture spoilt by ART! Unique! I like seeing the people on the bridge included, makes for a nice scene. A very photogenic work of art. Very unsual, I really like it!